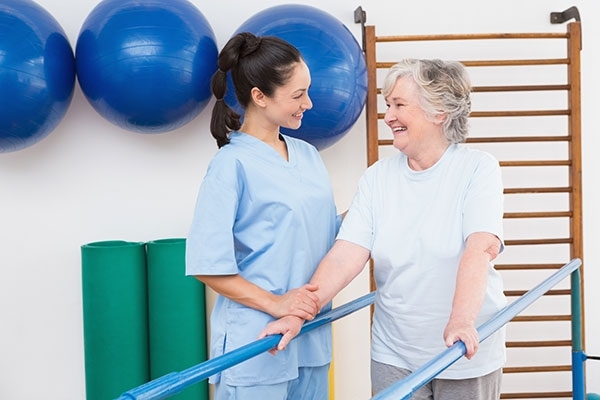 Selecting a short stay rehab or post-acute provider is a critically important decision as the clinical team can significantly impact the success of treatment. It’s important to choose a short stay rehab program with a demonstrated track record of success and a proven commitment to clinical excellence and resident-driven care. The ProHealth Group of companies have been a leader in the post-acute rehabilitation industry for more than twenty years. Our post-acute rehabilitation regimen is personalized to meet the needs of today's patients and residents. Today's rehab patient might be an active senior citizen recovering from a knee replacement before returning to the golf course, a grandmother recovering from a stroke, or a young woman receiving physical therapy to recover from an auto accident. Personalized treatment begins at admission with a therapy screening that takes into consideration each patient’s medical condition and their ability to endure extensive rehabilitation therapy.